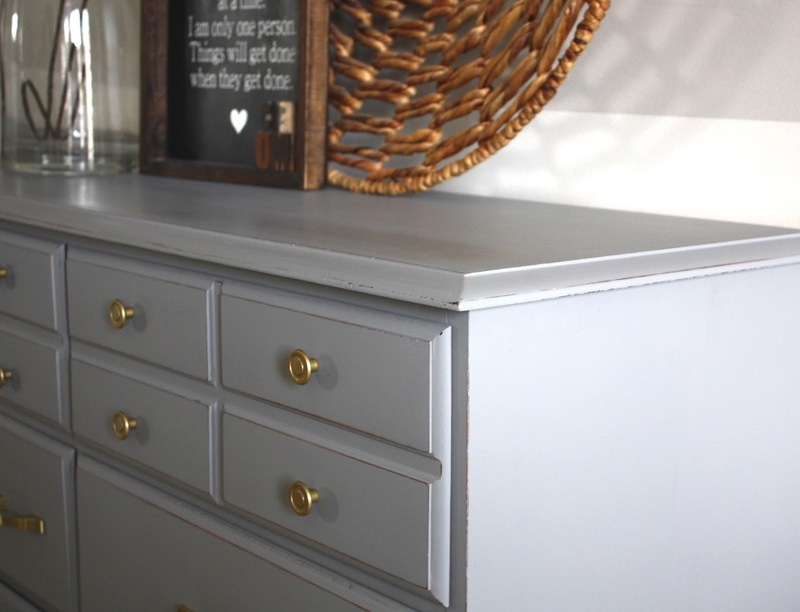 Dressers are one of my favourite pieces of furniture to refinish. They are always available for great prices at garage sales and in local buy and sell groups and sites. It always amazes me how a couple coats of paint can completely transform an average boring dresser! This dresser was a little banged and bruised so I sanded and filled where it was needed. 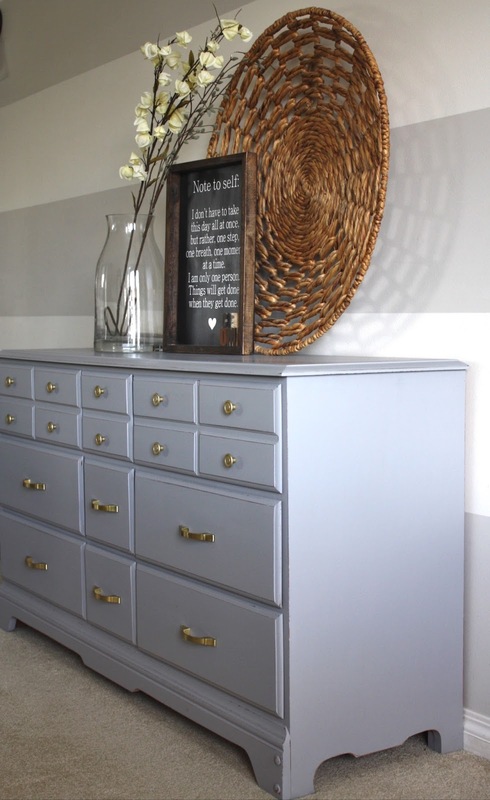 Then I painted it in two coats of Pebble Beach from Country Chic Paint. It is a beautiful medium grey with a cooler tone. The coverage of the paint is fantastic! When it was dry I lightly distressed it just around the edges to highlight it's shape. Distressing, even lightly, also adds some character and dimension to your piece. I gave the entire piece a coat of Natural Wax, and then an extra coat of wax just on the top for added protection. 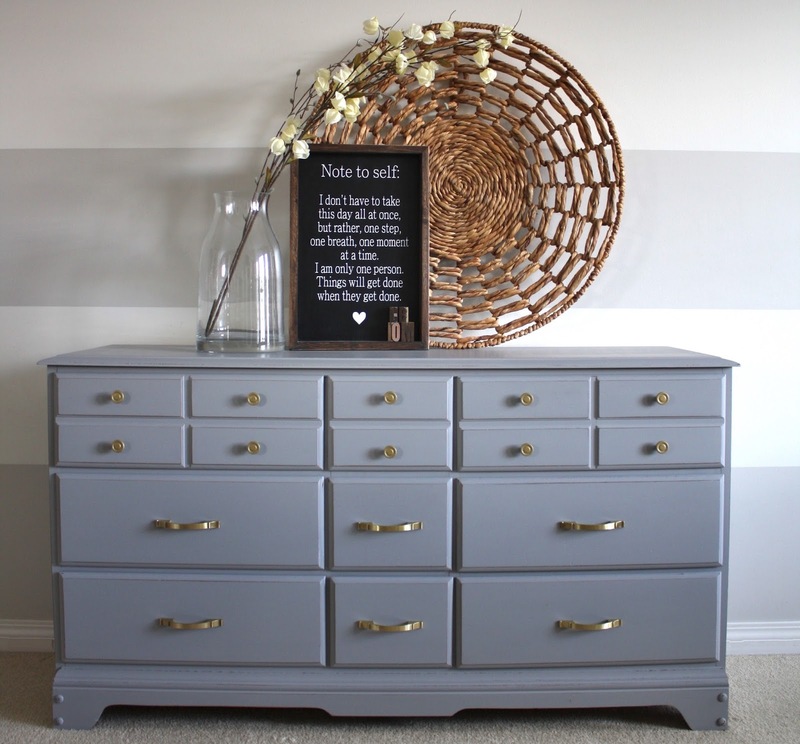 The cool grey tone of the dresser paired with the gold hardware is simple, classic, and beautiful! ! A simple transformation on a thrifted dresser with just a couple coats of paint!